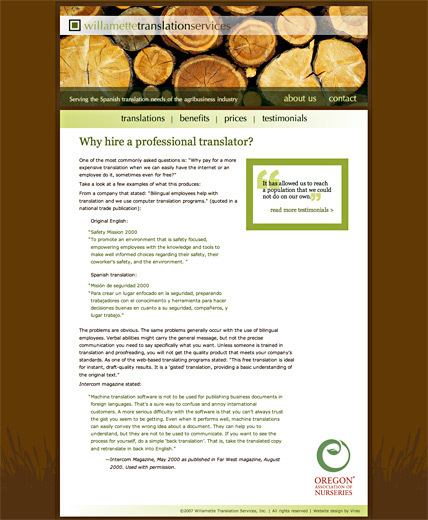 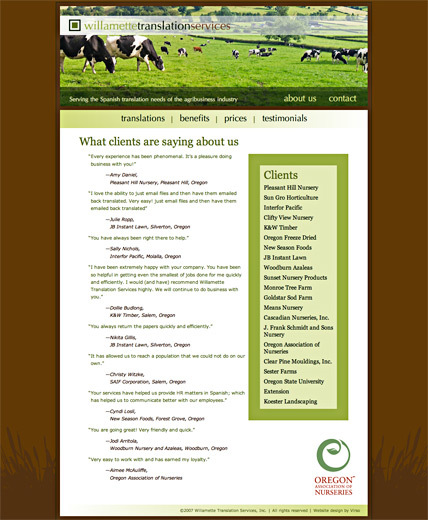 Client: Virso Project: Willamette Translations website Role: Art director, designer Note: Serving the Spanish translation needs of the agribusiness industry. 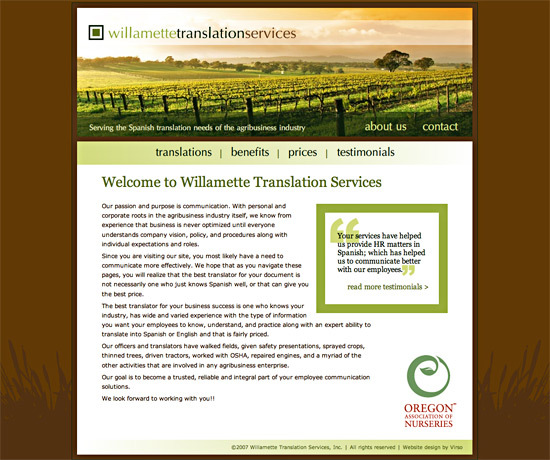 The earthy color palette and large captivating photos reflect some of the Willamette Translation target markets. 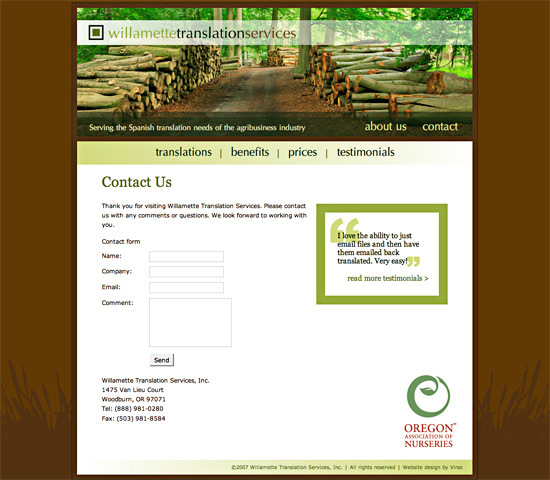 Clear organization, rotating testimonials and a list of current clients exhibit WTS’s focus on customer service.